Choosing the perfect Father’s Day gift can be trickier than it sounds – luckily the LG Minibeam PH550 projector is in store just in time to celebrate dad’s special day. Its impressive features, versatility with HDMI, USB and WIFI capability will allow Dad to turn the living room, patio or braai area into a screening room for when he wants to watch the big game, entertain friends, or catch up on his favourite series. The features include an eco-friendly, long lasting LED projection that can be used for up to 30,000 hours of display. With a contrast ratio of 100,000:1 it ensures that the picture quality is not lost when beaming up to an impressive 100”. The PH550 provides incredibly vivid colour with its 114% wide colour expression gradation. Its wireless functionality allows for connection to a smartphone or a tablet, so dad can share his favourite photos, videos or SuperBru predictions with friends and family. By simply plugging in his USB device, he’ll be able to enjoy his most rocking music while the bluetooth feature allows him to connect to a sound or speaker device for a more amplified experience. Bring the cinema experience to the comfort of your own home with the 3D Optimizer for some real fun! Convenience is key with the LG Minibeam. No one likes to carry around a hefty device with a million power and connection cords, especially not dad. Now he doesn’t have too! Be it for a simple business presentation, entertainment or family fun time, the LG PH550 Minibeam’s slim 1.7kg’s book design and single hand grip size makes it simple to carry while it is also easy to store. 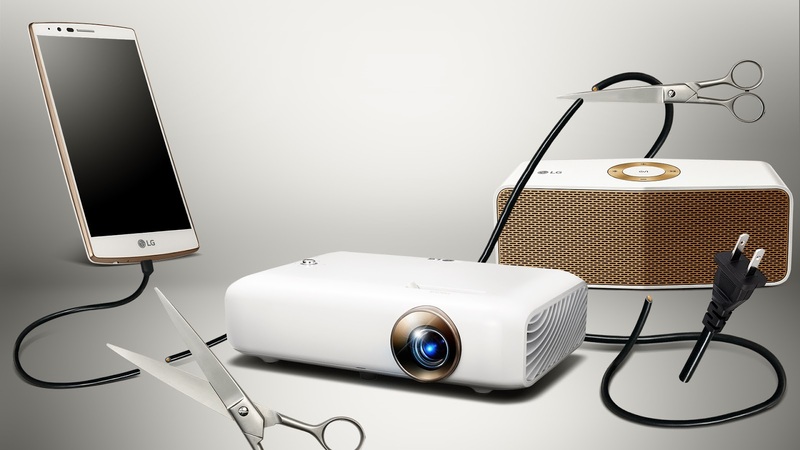 The projector also has two-and-a half hours of battery life, so there’s no need to carry around a charger. No matter how tech savvy he is, the LG Minibeam PH550 projector is the perfect user-friendly gift that will keep him entertained for hours. Retailing at R7 299, the projector is available from all Makro, DionWired and Incredible Connection stores near you.